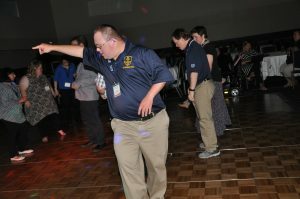 Pennsylvania’s Special Olympians recently returned to State College for their annual Leadership Conference event at the Penn Stater Hotel and Conference Center. And We Danced DJ Entertainment spun some great dance music for the attendees for their Friday evening dance. 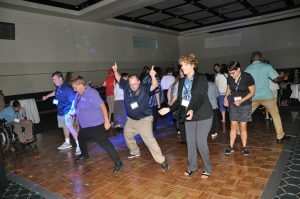 Needing a change of pace from the conference meetings, everyone could not wait to hit the dance floor to begin dancing with their fellow athletes, families, coaches and Special Olympics management personnel. 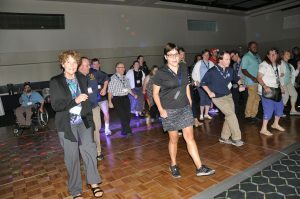 Athletes and staff all danced and sang along to their favorite tunes that night. 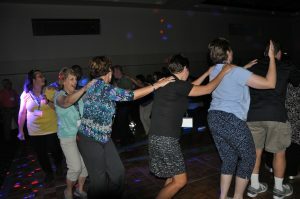 Everybody was on the dance floor having fun! 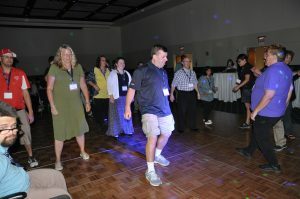 Lights were flashing while the participants were moving to some great dance tracks. The floor remained packed with dancers for most of the evening. 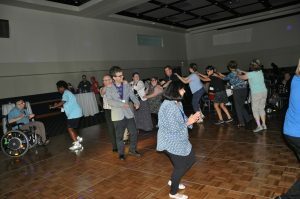 As with all of the Special Olympics events that we play at, attendees swayed and danced for the entire event. 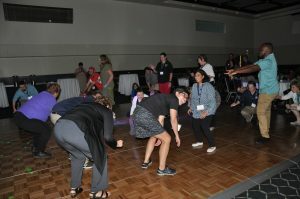 The Special Olympics annual Leadership Conference strengthens the leadership abilities of many throughout the organization. Topics covered at the conference include new manager training, background information, competition, field department concerns, fundraising, volunteer issues, marketing, communications and athlete leadership. 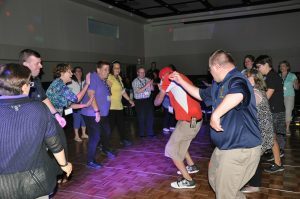 It is through this training that the Pennsylvania Special Olympics organization is able to provide quality events throughout the course of the calendar year. More than 2,000 athletes compete in the Pennsylvania Special Olympics annually. Some sports included are aquatics, basketball, bowling, equestrian, golf, gymnastics, softball and tennis. Local representatives can supply more information on how to take part in various Special Olympics events. Before we knew it, the 10pm hour arrived and the dance concluded. All the athletes made sure to greet us before they left to get a good night’s sleep and resume their conference the next day. 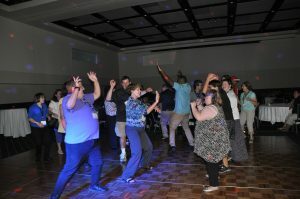 And We Danced DJ Entertainment is honored to play great dance music for our Special Olympics friends throughout each year. We look forward to seeing you again!